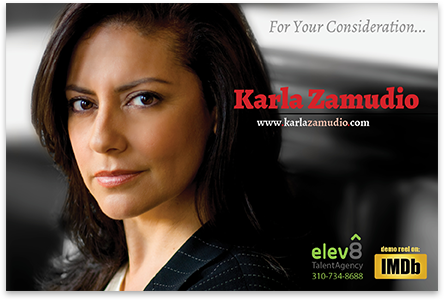 Karla Zamudio has been working with me for the last few yours in an effort to help promote herself and her acting career. 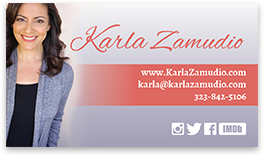 The first thing was to update her business card, keep it simple with her basic information on it, then we have put together a couple of postcards as hand outs to promote herself. 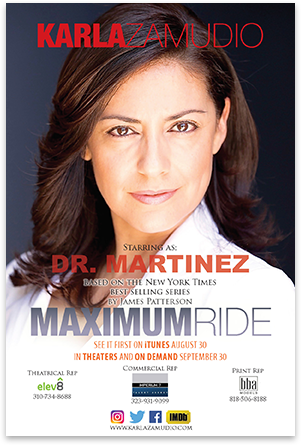 Then the movie “Maximum Ride” was released which she starred in and so we ran another promotion along side of that. In each case simplicity was key while still promoting her abilities.